Last year we launched BettingPros.com with sports betting information just for NFL. Now, we've added support for both MLB and NBA. 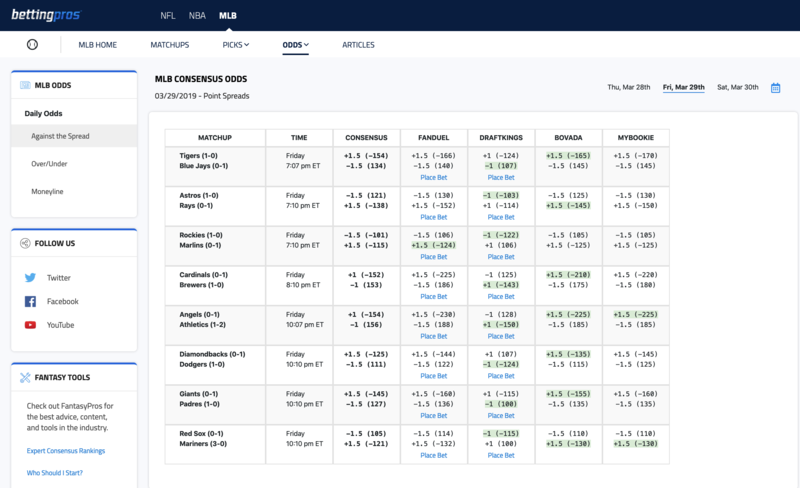 This includes matchup information for both sports (over/under for game totals, moneyline bets, and spreads) as well as aggregating daily odds across multiple sports books to help you find the best betting value. 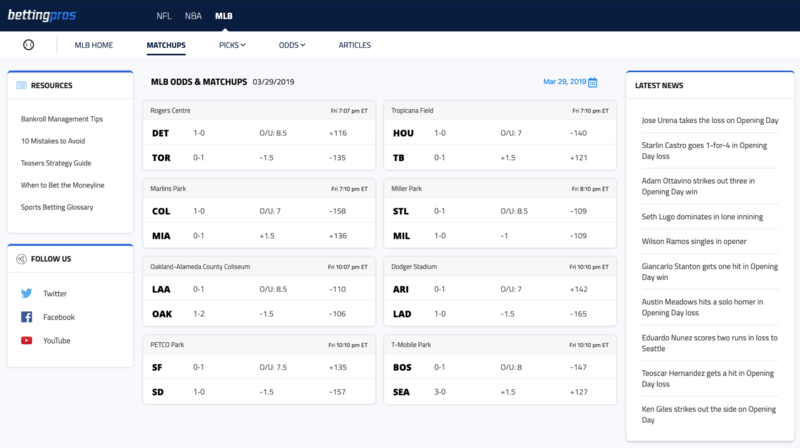 Daily odds and matchups for MLB and NBA now available. 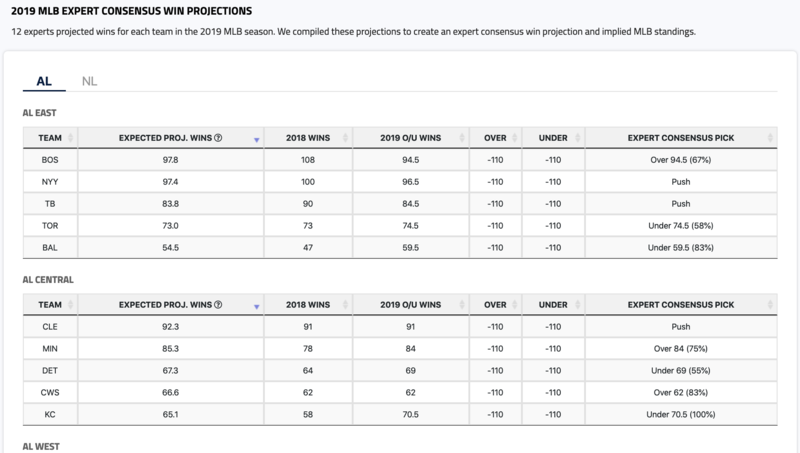 For baseball fans, we added expert consensus win projections. We aggregated the opinions from our sports betting experts to determine the expert consensus pick for season-long O/U wins. Season-long over/under odds w/ expert consensus picks for MLB. We've also added a slew of articles to help you get an edge when placing wagers on baseball and basketball. Check out the updated BettingPros now. Find the best available odds across multiple sports books.